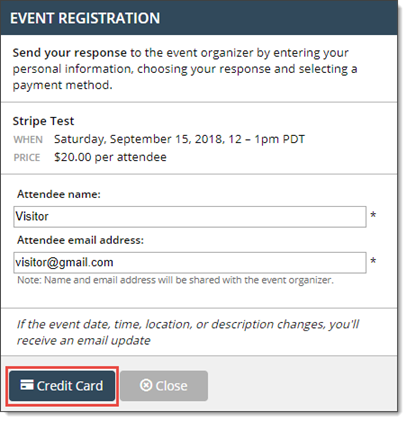 This topic describes the process that visitors complete to register for your paid events if you set up a payment gateway through Stripe. 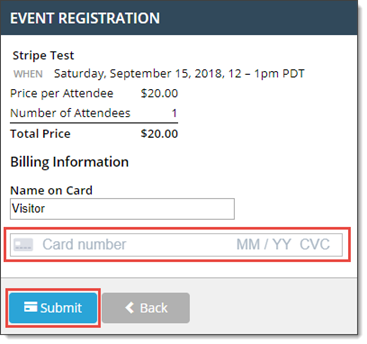 Enters their name and email address, and then clicks Credit Card. Enters their credit card information, and then clicks Submit. 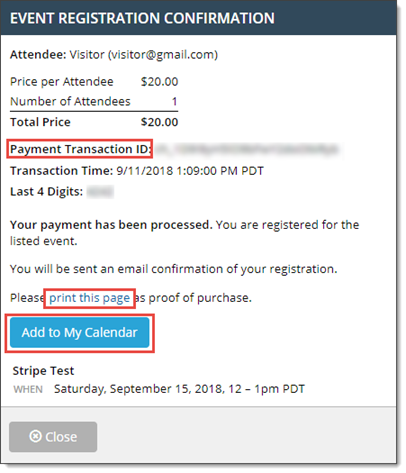 A confirmation email is also sent to visitor's email address. 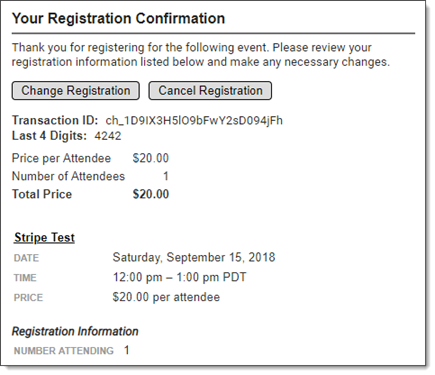 Note If you allowed self-serve refunds when you set up the event, the confirmation email includes an option to cancel the registration, such as shown above.